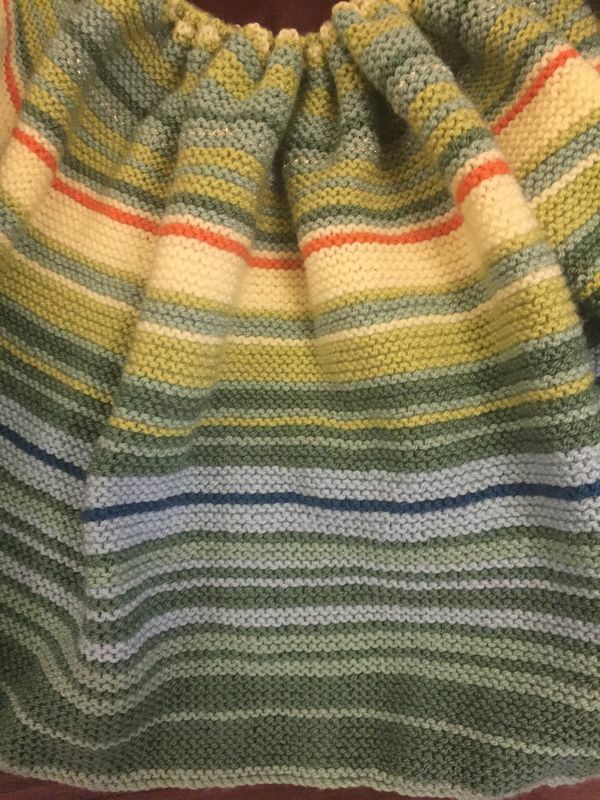 I absolutely fell in love with the idea of making a temperature blanket. A friend’s grandson was due this year so I cracked on to catch up and I incorporated a gold thread on his birth day. It’s great having a WIP that’ll take a while to finish lol. I LOVE your colors for this. It is looking so very nice. I love your temperature blanket! Your colors choices are very lovely. May I ask what brand and weight of yarn you are using? Thank you, Stylecraft Special DK. One of the colours is called Lincoln and that’s where the family used to live so that was the basis of my colour choices and baby was born on a Lincoln colour day! Great color scheme. Going to be beautiful when it's done. Are you knitting 2 rows for each day or just one? I’ve only made one other blanket before and I was given huge help from a very kind and thoughtful KP friend, whose endless patience with all of my questions were answered promptly and with kind words of encouragement. You are all wonderful, my KP family. Thank you. Two per day. Since starting this blanket I’ve been checking out other blankets on fbk etc. and there are some wonderful works of art out there. My next one I will put some planning into it. It’s also becoming apparent that I need to get cracking in learning more crochet stitches! Love your blanket! I started my first one this year, too. It’s such a great idea. I’m doing mine Corner to Corner. Oooh yes they look great, so many decisions to make for my next one. Do you have a photo of yours? Pamela, that is stunning. Nice work.